Spicy Chicken is just average only, as the chicken is chilled and not a fresh one. Sauce is good and tasty. Tofu with spicy salt $28 is contained in a small dish. 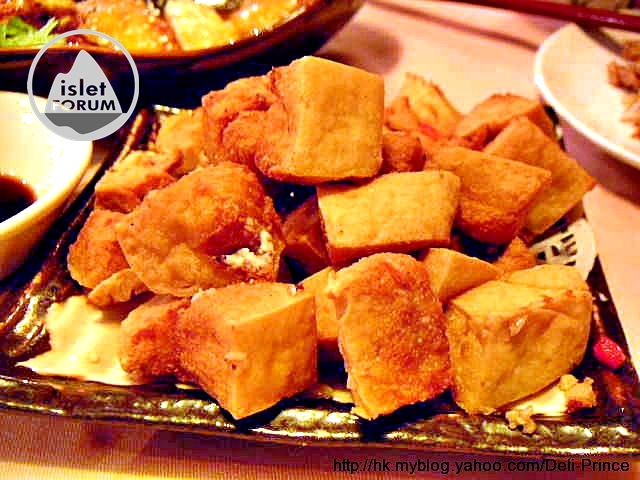 Every piece of Tofu gives you a spicy and salty feeling in your taste bud. 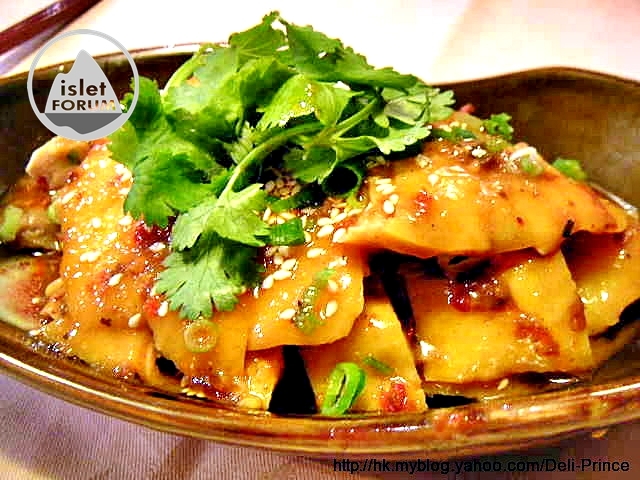 Pan-fried Lotus Root Cake is an outstanding item. The cake is chewy and of course is good for eating with beer. 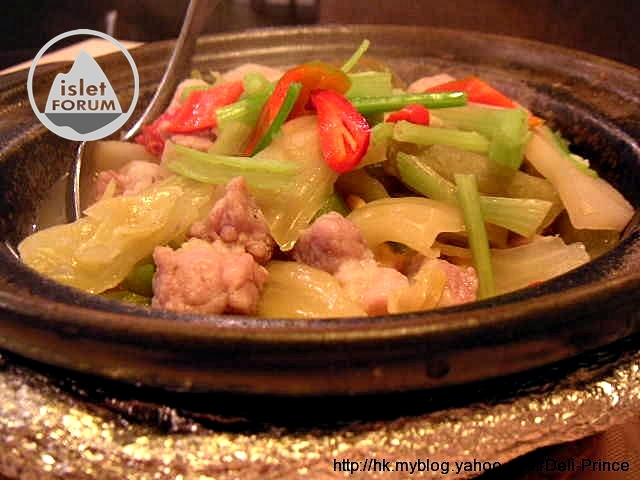 Preserved Vegetable and Pork in Pot is an item to be neglected. It is not good in taste and cooking skill. Remarks: We did try in Sun Dau Kee Seafood Restaurant (新兜記海鮮酒家) in Woo Sung Street before. 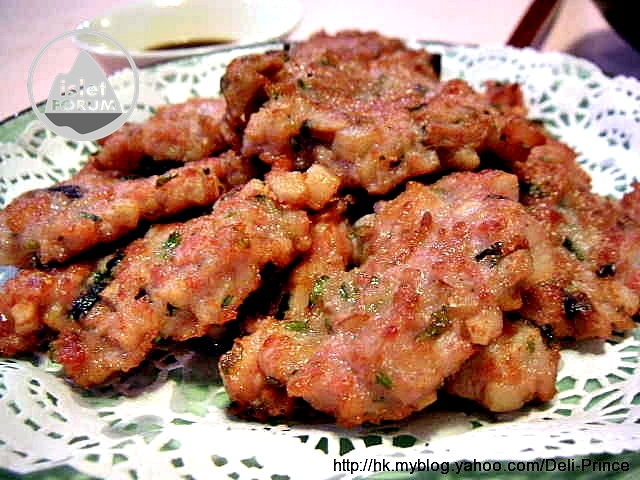 Xin Cuisine is operated by the former staff of Sun Dau Kee. 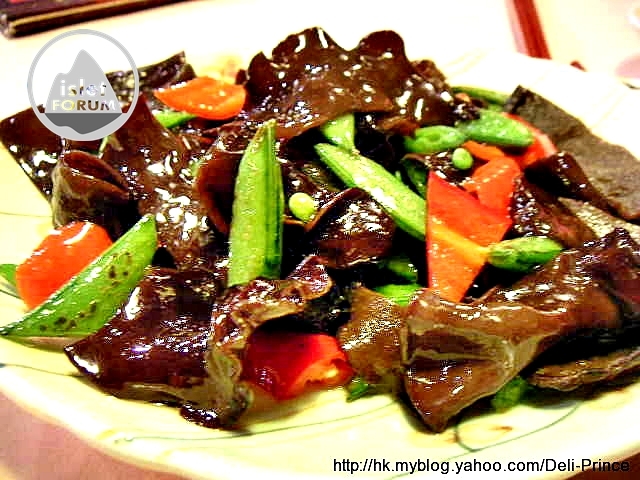 We have not yet tried in Xin Cuisine after its opening in Cheung Lok Street. Decoration of Xin Cuisine is quite modern; the decoration should have not much difference from the former Chinese restaurant in the same address. But we cannot say the dining environment is comfortable. Diners are mainly OL and salarymen. We notice that most of them would order the signature dishes, like "Fried Big Shrimp in Soy Sauce" and "Roasted Baby Pig". Since we have 2 persons only, we plan not to try its signature dishes. Instead we only select several small dishes in the meal. We order 4 dishes; the bill is $280 (average spending $140). Apart from the signature dishes that we have not yet ordered, other dishes in the menu have average quality only. This is a quite common phenomenon in quite a lot of restaurants in Hong Kong. Without those signature dishes, Xin Cuisine becomes a restaurant without selling point. We are sorry to have such comment. This is not to dissuade you to try in Xin Cuisine. If you do pay visit, to order those signature dishes is a must.